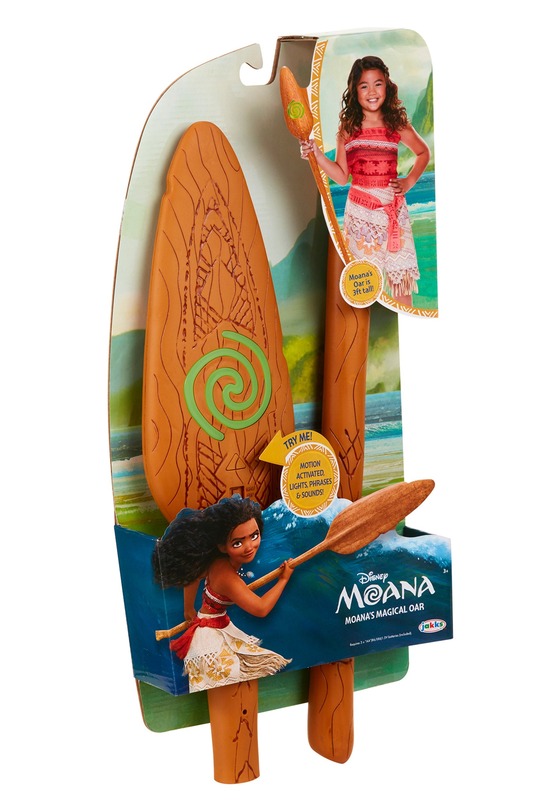 There's no wonder that your little one is all about Moana's epic journey. Everything about this little hero is awesome! Her songs are wild and easy to sing along with. She seems to be able to take on everyone from a demi-god to a tribe of coconut pirates. Your child probably wouldn't mind going on a similar journey without getting threatened by a crab and those nasty, nutty pirates. In the meantime, she can dress up in a Moana costume every chance she gets. 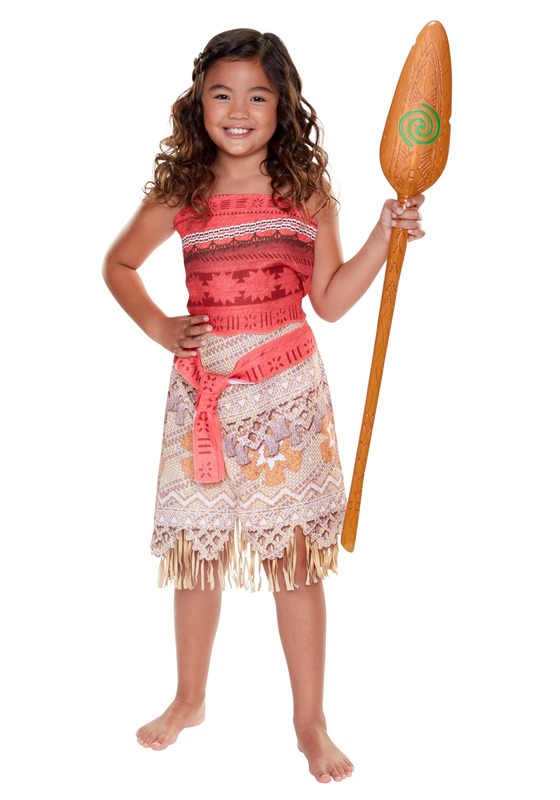 If she's already rocking the tribal pattern top and Moana's grass and fabric skirt then there might be one more important element that she's missing, her all-important oar! 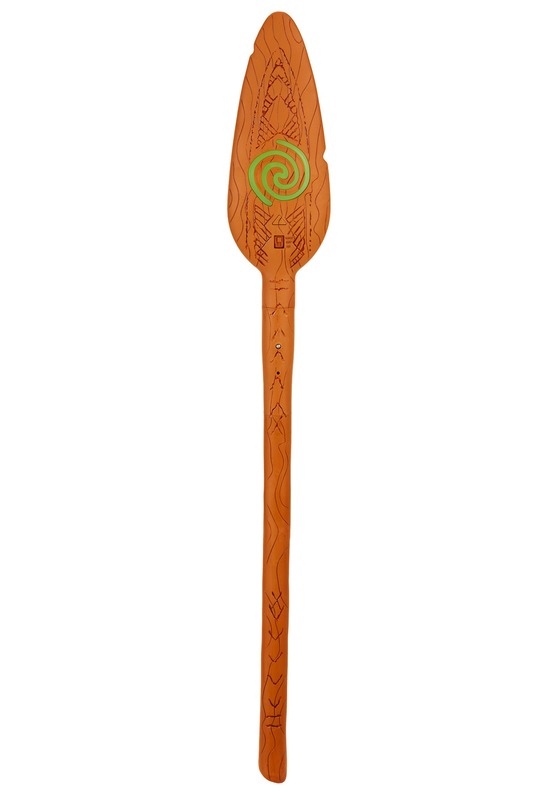 This oar stands at three feet tall with all sorts of details. The oar has etched details with pattern down the handle and all over the paddle. The paddle has a green spiral in the middle right over the on, off, and try-me switch. It runs on three AA batteries and comes in two pieces so it can be stored with ease. Much like Moana's journey, you never know what's going to happen on Halloween night! Your little one will be brave in the face of all the ghouls and goblins as long as her oar is in hand. No way the skeletons and mummies in the neighborhood are going to scare her when she's taken on an unhinged ocean goddess!